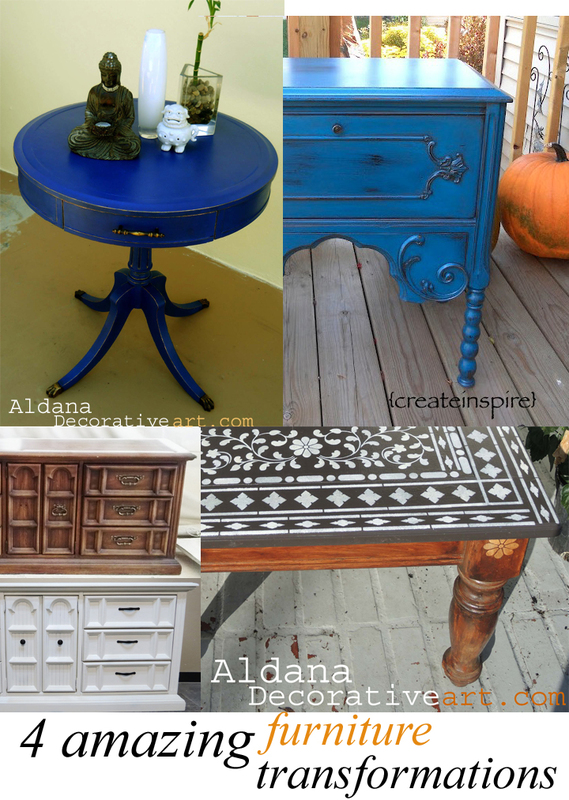 I wanted to share some Furniture Re-dos that I thought were awesome. The thought for this group is seeing an amazing transformation in something I would think had almost zero potential. Now that’s me thinking it has zero potential, my personal opinion. Now Create Inspire’s table is quite lovely before but I would have walked right by it because I tend to stencil and with the raised detail it might now work for me. But…… after seeing how she refinished it. My mind is totally changed I am now looking for a piece with a lot of detail so I can glaze that sucker up. I hope you find some inspiration like it did. My Epic First Stencil project. I learned a lot making this piece. If I did again right now it wouldn’t take me as long. I am sure proud of this Beauty. Read more and check it out in my Shop. 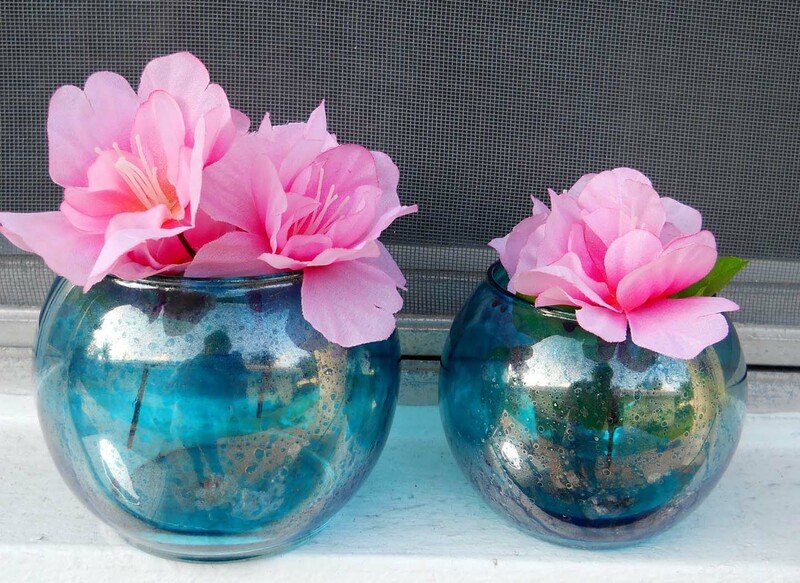 This is little Blue table that blew my mind and showed me the potential of glazing a piece. Can I say I love Blue? Check out the full transformation on Create Inspire’s site. I love this piece because it shows the power of paint. To me the piece before is dated and boring. I wouldn’t have looked twice at it, but look how lovely it is with after Carrie’s crisp white paint job. It got me looking for a majorly underwhelming piece to transform. 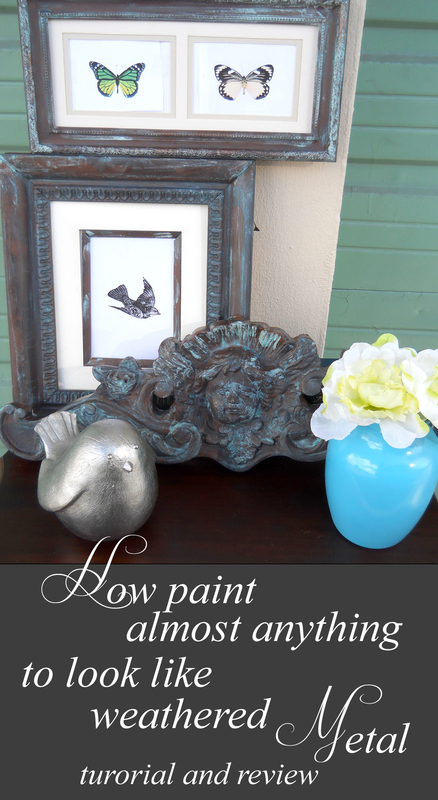 Read more at her site Painted Furniture Ideas. And finally the Round Blue table. This table I left at the a garage sale because I had no idea what to do with it. 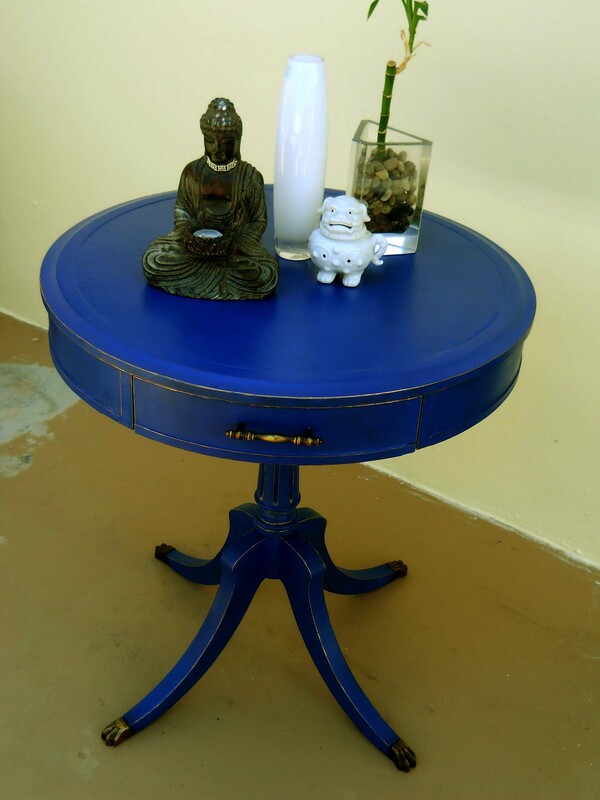 After I went home I saw a similar round table in a nice bright color on Pintrest. I went flying back for that sucker with fingers crossed and it was still here waiting for me. 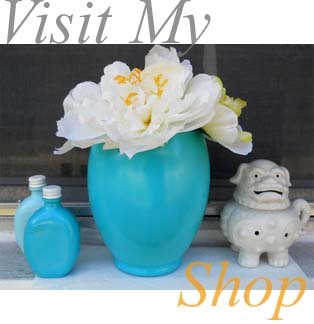 Read more and check it out in my Shop.